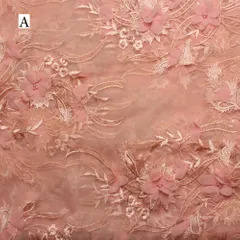 Being stylish or updated doesn’t always need a well worked surface or a heavy embellished outfit. 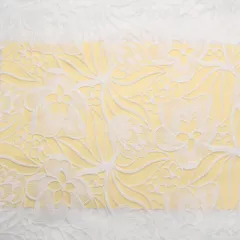 An understated or a minimalist piece can do the trick provided they are presented in a thoughtful state. 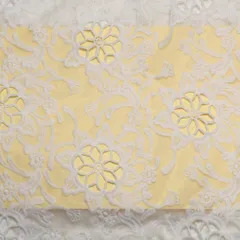 We here at LaceCraft have such an exact material for an unfussy and unassuming style to draw all around you. 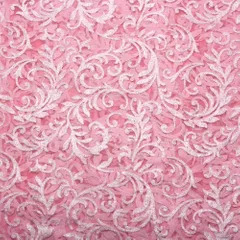 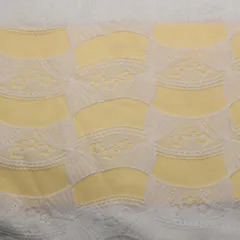 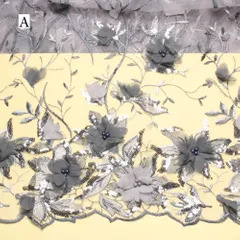 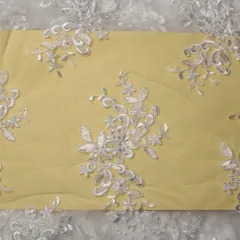 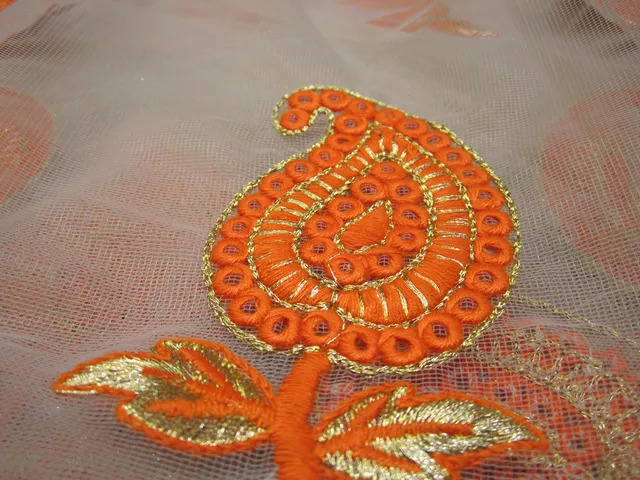 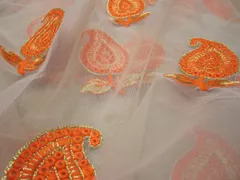 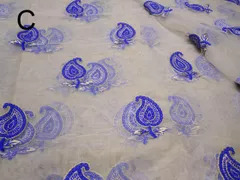 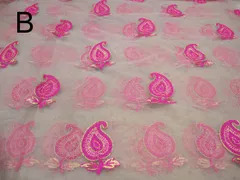 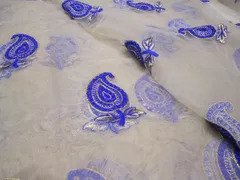 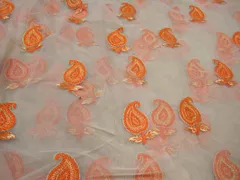 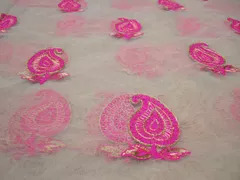 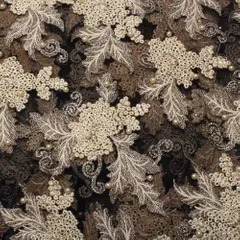 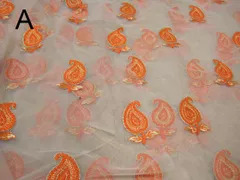 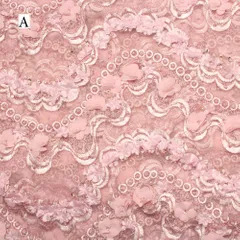 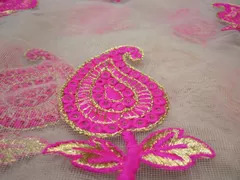 Assured of its quality and acceptability by our team after a strong understanding of the market, the ‘Paisley flower thread and Zari thread embroidered netted fabric’ is a beauty in mango design. 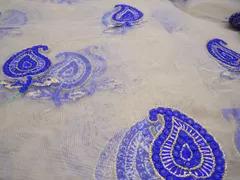 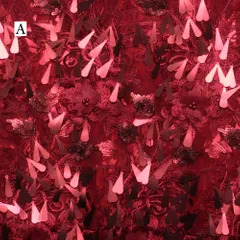 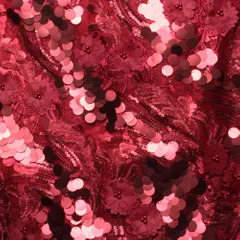 As a stiff sari suit or a jump suit design, a fitted knee length pencil skirt or a body con 1-shoulder dress, as a hug-shoulder designer top or even turned into a sensuous camisole item, the material is a hit with its style points to its wearer.